With school back in session and the ALA Youth Media Awards announcements less than five months away, mock award groups are forming or, if formed already, they are beginning to hone in on nominations, just like the actual committees. 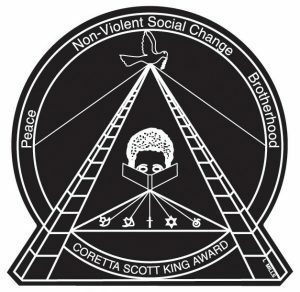 I spoke with Sierra McKenzie, Library Services Floater at the Public Library of Cincinnati and Hamilton County (PLCH), a member of the newly formed PLCH Mock Coretta Scott King Book Awards group and keeper of that group’s suggestion spreadsheet. This is the first year of the PLCH Mock CSK Book Awards group. It’s Sierra’s first experience with a mock group, and she reports that some members have commented on the increase in the amount of reading for this mock group versus others because they are selecting books for two categories, author and illustrator. Right now, members are reading everything that qualifies, focusing on titles with high reviews from other group members and adding comments to a closed Goodreads list. The group has completed two rounds of author and illustrator suggestions. A selection meeting will occur in September when they will start to narrow down the list of suggestions for a shorter list for “author” and “illustrator” category discussions. Mock CSK Book Awards groups add awareness and enthusiasm for titles that are current and eligible for the CSK Book Awards. If your public, academic or school library has a Mock CSK Book Awards group in place, please share this in the comments section. And if not, please consider starting one! Thanks to Dr. Claudette McLinn, Alan Bailey, and Amber Hayes, the CSK Book Awards Jury Handbook has been updated (format and pagination) and is available for Mock CSK Book Awards groups and Mock CSK Book Awards elections through a link on the CSK Book Awards Committee website.